It is understandable why elites would think this way, but it does not stand up to scrutiny and exposes humanity to untold dangers. 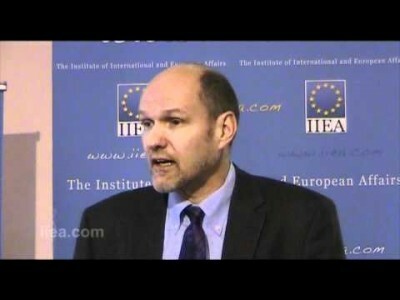 Stephen Walt, a world famous professor of international relations, has presented an interesting ‘case against peace‘ that might explain some of the most recent trends in international affairs. When the wolf is at the door, domestic quarrels are put aside in order to deal with the more immediate danger. A group’s complete victory over its enemies is thus not always fortunate in a sociological sense. Victory lowers the energy which guarantees the unity of the group; and the dissolving forces, which are always at work, gain hold. The cold war was the ‘perfect’ type of threat. It never escalated to a major war … although it was serious enough to be a unifying factor. The threat from al Qaeda and its ilk is just not serious enough to galvanize the national unity that a genuine international rivalry produces. Domestic terrorism continues to shock us, but it’s hard to rally the nation over the long term when the risk of dying in a terrorist incident is still about 1 chance in 4 million each year. Reducing external dangers turns out to have a downside: The less threatened we are by the outside world, the more prone we are to ugly quarrels at home. Even worse, peace may even contain the seeds of its own destruction. Now if we examine recent trends, we can see how this thesis is being applied. Political elites have continued to shift their rhetoric in recent years to portraying Russia as the enemy of the Western world, and particularly the United States, in a way that we might see as attempting to produce that ‘genuine international rivalry’ that Walt speaks of. Many believe that stoking domestic tensions is beneficial to those in control, and at a certain level it is, but domestic harmony is far more conducive to economic growth. The ‘police state takeover’ would be of massive short term gain to elites, but in reality it would be of little gain at all in the long term. The rise of anti-Russian rhetoric in particular may be a drive towards implementing the ‘case against peace’, in order to keep a working population in motion and generating the massive economic activity that ultimately is the thing that keeps the US on top of everybody else. There are however, some very worrying aspects of the ‘case against peace’ that Walt does not consider. The first is that a real threat does not necessarily incite mass social cohesion. The war in Vietnam was framed as a fight against the ‘real’ threat of communism, yet huge protests and massive social unrest occurred against it. Moreover, despite being in the height of the post-9/11 us-against-them mentality, London saw its biggest protest in history take place against the Iraq War. Desch calls the Cold War the ‘perfect type of threat’, because ‘it never escalated into a major war’, but fails to mention that it very well could have done, which would have destroyed far more than just social cohesion and made a ‘normal life’ impossible for centuries to come. It is also not necessarily true that it is only a threat from ‘the outside world’ that maintains domestic harmony. Why would we risk something that may escalate into a ‘major war’, when there are perhaps other ways of achieving social calm? In the Western world as it stands, most social unrest can be traced back to the fact that we have a massively unequal society – financially speaking. We might, instead of stoking conflict with an international, military super power like Russia, seek to create an economic reality that allows people to maintain a prosperous and fulfilling life. A recurring cycle of conflict where periods of peace give way to new sources of tension and division. This is the saddest part of the entire argument. We, as humans, need to find alternative means of dealing with our ‘sources of tension and division’ other than ‘a recurring cycle of conflict’ that the ‘case against peace’ advocates. Until we do that, we will be doomed to follow the mistakes of the past.